How to create a load test in SoapUI to compare Google home page with Bing home page? 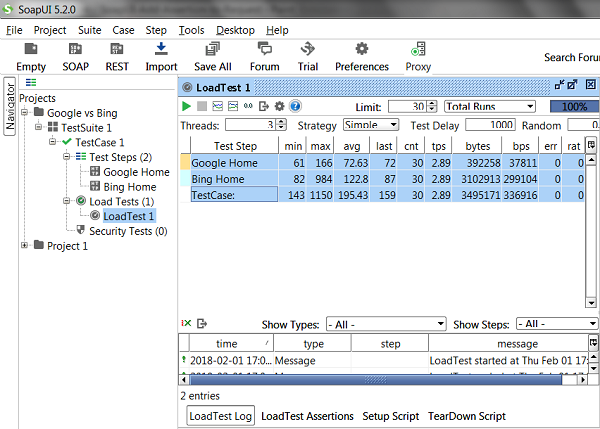 If you are looking for a load test example to try the LoadTestRunner command, you can follow this tutorial to build a load test to compare Google home page with Bing home page. 3. Add a new TestSuite and a new TestCase. You see Bing is almost 2 times slower than Google. 8. Save the project as \fyicenter\Google-vs-Bing-soapui.xml.